Project Fi is an incredible mobile service that utilizes 4 networks to provide access to the rest of the world from your device. By being able to automatically switch between T-Mobile, Sprint, US Cellular, and WiFi users of Project Fi have such a vast network to connect to that dead spaces are becoming harder and harder to find. What makes Fi even better, actually one of Fi's greatest features, is the automatic algorithms that it uses to determine where to connect when multiple options exist. There is no need for you, the user, to even think about this. What's more, Project Fi is constantly learning from feedback that the Fi app gathers as well as through direct user feedback. All of this input helps the engineers tweak and improve the algorithms used to automatically change the network that you are on in an effort to improve overall performance. Now, there are times when users may run into issues, or perceived issues. Some report that they are stuck on one network or another. Others report that they think they should be connecting to a different network that they are currently connected to. As an aide, there are dialer codes that people can use to force change to a specific network, or change back to automatic switching. These dialer codes are a great tool for troubleshooting purposes, especially when working with Project Fi support. So when working with support, if they suggest you try the dialer codes, great. However, what nobody really knows outside of Google is what they use specifically to determine which network to connect to. 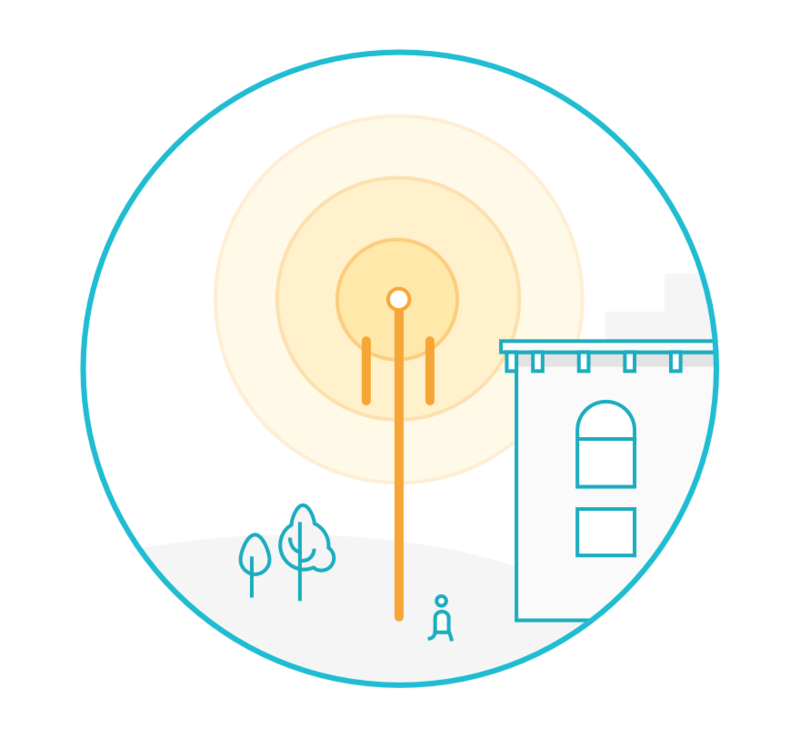 Sometimes it may be signal strength, other times it may be bandwidth available due to # of users on a particular tower, or even other times a combination of the two. And the success, or failure, of the switching based on these algorithms help improve the algorithms over time. There are a few apps out their that help users force change the networks they are on. It is in my opinion (and other's that I have spoken with) that these types of applications are inherently bad for Project Fi. By force switching the networks because of a perceived network preference, users are taking away the actual, real life feedback that goes into improving the network switching algorithms. Using these apps to switch networks just because you want to be on a different network makes it really difficult for the algorithms to improve. Sort of like when multiple people are giving you conflicting directions because they each think they know which is better. But in reality, the GPS may know the best because it has other information that it factors in such as construction, traffic, accidents, etc. All Project Fi users and potential users should recognize that Fi is young and still constantly improving and a major factor in that improvement is real life feedback from users. By taking away this feedback, users of network switching apps are doing a disservice to both Project Fi and their fellow Fi users. Please remember, this is only my opinion, and I expect some controversy regarding this post, however let's please keep any comments or feedback constructive and friendly. I'm on PFi for the 2nd time. I was an early adopter with the N6 but I was traveling a lot to places where T-Mobile and Sprint didn't have a good presence. So, after about 6 months, I went back to Big Red for a while. But then my situation changed and I didn't need to travel as much to those areas without coverage. This time around I have a 6P and the "new" SIM card. What a world of difference! It's a much better experience this time around. So much so that I've decided to do exactly what you're talking about in this article. I've not downloaded a single app from the Play Store for switching. I decided this time around that I'm just going to let PFi "do it's thing". It's been nice not worrying what it's doing in the background. Please re-think your statement, "By being able to automatically switch between T-Mobile, Sprint, US Cellular, and WiFi users of Project Fi have such a vast network to connect to that dead spaces are becoming harder and harder to find." This is inaccurate and misleads uninformed people to believe that Google includes WiFi switching in their algorithm. The most significant drawback of PFi for users in marginal cellular areas (South Jersey, in my case) is the INABILITY of PFi to switch to WiFi for inbound and outbound calling. No matter how poor the cell signal, PFi will ALWAYS route calls over the cellular network, forcing me to switch on Airplane Mode to deactivate the radios in my phone, then turn on WiFi and Bluetooth. Otherwise, call quality is unacceptable. If and when Google enables switching to WiFi calling in their algorithm, we can truly say they support four networks. But until then, please don't let Google off the hook...they need to get this right in order to fulfill the commitment they made on Day One regarding network switching. I'm lost, what do you mean "If and When"? I frequently make calls on Wifi. By the way, it IS included in their algorithm. Try going to a key. Thank you Scott for your opinion, I wholeheartedly agree with it. I have been on Fi now since January and have enjoyed it as is. I do not tweak, try to workaround, or solve any issues I have which have been very few without consulting with the support team or other professionals such as yourself first. I have had nothing but a positive experience with Fi. Too many people are posting issues that In my opinion they themselves have created by not letting Project Fi do it's job !!! Thanks again for a great opinion piece ! To be fair, the network switching apps are not any more "bad" than the dialer codes, as they are driven by the same core functionality. Using these apps to switch networks is in fact no different than manually using the dialer codes - the apps typically do nothing more than pre-copy the same dialer codes you would type in manually and often require the user to longpress and "paste" to do anything. While it is true that they offer the convenience of not having to remember the specific codes and making such things easier can allow end users to make decisions that could impact network learning, they do not inherently cause any more algorithmic damage than the codes themselves. Often times the apps have other functionalities built in as well, ones that are not specific to dialer codes but are more about monitoring current connection status, tracking it over time, or even monitoring (and in some cases limiting) data usage. I get where you are coming from with the "let it learn" concept, but methinks the semi inflammatory labeling of apps that utilize the dialer codes themselves as "bad" might be missing the mark a bit. Given your argument of interfering with learning algorithms, the dialer codes themselves and any abusive usage of them are the things that are bad, not the apps - which often carry other functionalities unrelated to dialer codes that play no interfering role in network algorithm learning. Hi Scott! I'll give this a try for a while, and uninstall FiSwitch to see. My main concern has been the crappy Sprint capability to handle voice and data at the same time. I have been on several calls (for work) in the recent past, where I wanted to send a Hangouts message to one of the attendees, and only then, learned that Fi had me on Sprint. Using FiSwitch, I was able to move to TMo and do both at the same time (of course that meant I had to drop off the call and re-join, which was a headache in itself!). I know we're in early stages, so I look forward to continued improvements in Fi. Matt, that is not a result of crappy Sprint connectivity, its a result of Sprint being crappy ;) SPrint does not have the ability to do calls and data at the same time. From my experience it doesn't have the ability to do calls at all! I just yesterday re-activated my old Moto X (V1) through Republic Wireless for $10/month. It makes calls over the Sprint network just fine, but as I would wish Fi to work, it also defaults to WiFi which it also does just fine. When RW comes out with their GSM plans in July I may be reluctantly dumping Fi. These connectivity issues have been lingering far far to long from a multi-billion dollar company. I believe the author is of the opinion that the abuse of dialer codes to force carrier switches are the evil to avoid, not the apps that use those dialer codes (though it is not worded quite that way unfortunately). I doubt you would see any effect from uninstalling such apps beyond the coincidental, as it's how one uses them that the author states as algorithmically interfering. Thx, Scotty. I enjoy the comments. regardless, switching carriers is not bad and was put into the main project fi app by google themselves, if they didn't want people to be able to switch networks manually they would have not put the ability to switch in the app (there are certainly ways they can block this). the amount of users that actually use carrier switching apps is negligible and has no effect on googles algorithms compared to the amount of project fi customers. tldr- saying switching apps are bad is like saying users running custom roms is ruining android. when in essence google yearly pulls in features/fixs from the oss community. I haven't had any issues with Project Fi. It seamlessly switches between cellular and Wi-Fi to find the strongest coverage. I guess I'm fortunate because I live in the Baltimore/Washington market. I travel from Baltimore to Northern VA regularly. I also go to NYC. I have found that my service seamlessly moves from LTE to Wi-Fi. I never know whether I'm on Sprint or T-Mobile for sure. As a recently former wireless telecom employee, I have an idea where Sprint and T-Mobile work. In the cities/suburbs both Sprint & T-Mobile are strong. Sprint and U.S. cellular in more rural and farm areas, especially in Southern VA. I haven't experienced a drop call yet. So I don't really buy the bad wrap that Sprint or T-Mobile get. I switched from Sprint to lower my costs. They have some thing called Service Tender for their customers to measure call & data quality. It tracks drop calls and where. I averaged less than 1 drop call a month. Typically areas where all carriers struggle, like DC Metro rail underground. Project Fi has been extremely impressive! I have had Sprint for 16 years. I feel more secure knowing that I have T-Mobile and U.S. Cellular in addition to Sprint. Plus, the ability to do simultaneous data and voice. Never had it, so not a big deal. Lastly, if you're Comcast customer they give you access to 500K hotspots across the country. Google has a 1M. Between these two services, I'm super covered of Wi-Fi coverage. My data usage on cellular went from 6-7GB to less than 1GB over 4 months when I started using Comcast Xfinity app on my Sprint phone. Now with Project Fi, it is overkill on Wi-Fi coverage with 1.5M hotspots. Another reason I favor T-Mobile over Sprint with my Project Fi device is that Sprint doesn't support CSMS (Concatenated SMS), which really messes up texting when messages run a bit long. There is really no excuse for this as CSMS has been around for ages. I made Project Fi aware of this service inconsistency way back when, but as far as I know nothing has been done to address it with Sprint. I really wish Project Fi got on board with Verizon Wireless instead of Sprint as VzW supports CSMS, as well as VoLTE for the folks that want simultaneous voice and data on a single radio device. Signal Spy is a must for me. I've been a Fi user since my invite with the N6. Anytime it appears that I have lost my network data connection, or it's painfully slow it's almost always the result of being on Sprint. In my area (San Diego) I force the connection to Tmobile. If I could use the phone AND data at the same time over LTE on a Sprint network -- I wouldn't need a network switching app on Project Fi. The one and _only_ reason I forcibly switch it to GSM for some phone calls, is that I need to browse -and- call at the same time. I've only been on FI for a few days, but my experience today: Seeing rapid battery drain, I noticed the status bar showed no cell signal at all, and signal analyzer showed it was searching for GSM, while my old phone shows a full strength Sprint signal. Forcing sprint with a dialer code gave me full signal on my FI phone as well. OK, I let it go back to auto, and it settled on a Verizon signal (talk ok, but only 1x data). I chose FI to get the better coverage of multiple networks, not to have it pick the one with no signal at all!. I hope this learning thing starts kicking in soon. My Nexus 6 keeps staying on T-Mobile even when it shows 0 bars. I put in the repair code and it switches to sprint, as soon as I commute home it switches back to T-Mobile and stays there. I really need thing to go to a CDMA network when I'm indoors. I've been with Fi for quite some time, and I have shared my feedback with Google. The algorithm seems to select the network based on LTE signal (relevant for data). My issue is with voice calls, where Fi selects Sprint then falls back to a weak voice band. This is so poor at my house that I do use a network-switching app because--without it--I otherwise would drop the call, airplane to WiFi and redial. I've shared this with Google and asked to get on their VoLTE group but no success.